For those that are curious about Netflix’s newest series but don’t want to know too much should start here. This is an examination of the first two episodes. Plot revelations will be limited, yet one can still get a sense of the show. 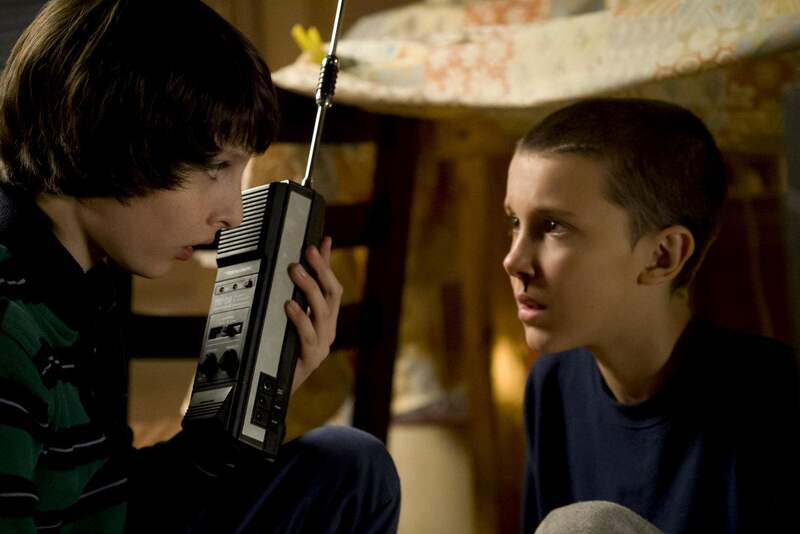 Created by The Duffer Brothers, Stranger Things evokes the nostalgia of the 1980s. 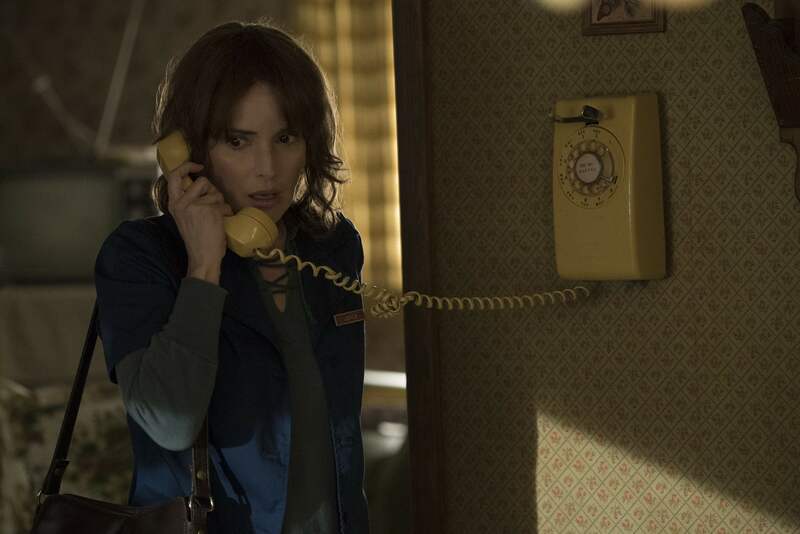 From riding in Ford Pintos or references to Michael Myers, the first two episodes of this Netflix series take joy in being immersed within one of popular culture’s most memorable decades. Even the credits have a sort of early ‘80s aesthetic. The series takes place specifically during the year 1983 in Hawkins, Indiana. The first two episodes are divided between the residents of the town and the sinister occupants of the neighboring laboratory. The series opens at the Hawkins National Laboratory where something has gone horribly wrong. A scientist is running for his life down an empty hallway. His attempt to escape in an elevator is unsuccessful as an unseen entity attacks without mercy. This introduction relays that the audience is going to be in for a bumpy ride. The show then changes course for the moment and introduces the viewer to a young gang of spirited Dungeons and Dragons players. These are the AV kids regularly bullied at school. They have luckily found a comradery amongst each other. This bond between the kids is thematic throughout the first two episodes as the series becomes centered around the disappearance of one of these kids named Will Byers. As Will is riding home he comes face to face with either the same or a different entity. This is played out in an intense series of events. Once the search for Will begins, his remaining three friends (Mike, Lucas, and Dustin) band together in order to conduct their own investigation. However, what they discover is not what they expect. Winona Ryder is in top form as a chain smoking single mother trying to find her missing son. Her portrayal of Joyce clearly depicts a woman who has all her balls up in the air and cannot afford to let even one drop. The anguish is in her eyes as she tries to remain in control while desperately insisting the police take action. She remains sharp and forceful even though at any moment the panic is going to take over. As the second episode ends all other feelings take a backseat to terror. Ryder leads an effective cast of memorable characters. While appropriately obnoxious at times, the kids have each carved out their own endearing characteristics. The standout is Finn Wolfhard as Mike but Gaten Matarazzo and Caleb McLaughlin are both strong in their contributions. The dynamics of the high schoolers (featuring Natalia Dyer and Joe Keery) should keep the teenage demographic effectively involved. David Harbour gives a powerful performance as the gruff Sheriff Hopper who has his own dark past that keeps him at a limited temper. One to watch is Millie Bobby Brown as the mysterious Eleven. Brown delivers a quiet, yet incredibly strong performance as a damaged young girl with ties to both the laboratory and the town’s residents. What works well for the show is that the residents of Hawkins (with the exception of the scientists) all seem like real people. The adults are believable but what is truly enjoyable is watching the kids be real kids. They are having fun with each other and project a childlike viewpoint that everything is going to be alright. Depending on where the show goes from here, that could be incredibly brilliant on the part of the show’s creators. As we grow attached, that will only serve to make Stranger Things all the more effectively terrifying. Another element that makes the show work so well is a soundtrack that places the viewer in the general time frame of the show. At times it can be anachronistic, such as the use of 1985’s Hazy Shade of Winter by the Bangles. The Clash’s Should I Stay or Should I Go is, however, time appropriate and used as a storytelling tool. At first it appears as a way to illustrate a sentimental moment. Later, it becomes a horrifying question of reality for one of the characters. The soundtrack theme also makes use of synthesizers. This non-diegetic music helps to recant early films of the 1980s horror genre. The nostalgia is appealing to those growing up in the 1980s as one is at times reminded of E.T. or the early works of Stephen King. I highly recommend this series based on what I’ve seen so far. A formal review of episodes 3-8 will soon be available for those that dare to go ahead. One should remember that a show such as this works best because of character development. This is something that takes time. Never far ahead are scenes that grip the viewer in suspense while offering occasional moments of levity to alleviate the tension. Assuming that the characters remain relatable, the show could easily become the newest success of the ever-expanding world of Netflix original series.